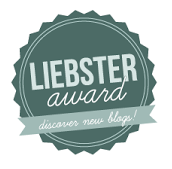 I was nominated by Elise for the Liebster Award, I have never heard of it before but Im just going to go with the flow. If your not so sure what it is too, I copied this from Elise's post. And this is what it is..
1- I am a total social networking nerd, I have an account on every website or app out there. All together I have over 40,000 followers! I love my followers! 2- I have an obsession with Hello Kitty things, Bows, Starbucks and Mustaches. 5- I love youtubers. Sam Pepper and Zoella are definately my favourite. Im so happy I met him. 7- I used to go to London every saturday, It got tiring so I stopped. I miss it! But I go a lot still! 8- I am always busy! I go dance almost every night after school, and when I'm not I am so bored it is unreal! I dont understand how people can just go home after school and do nothing! 10- Kylie and Kendall Jenner and Cara Delevingne are my model inspirations. I wish I could be like them! Also modelling looks really fun, I wish I could properly do that too. But I doubt that would happen haha! Winter! I have always got something to do in the Winter... and its cosy! 2- What is your most favourite thing about blogging? Any of Rimmels Long Lasting collection. 4- Writing Reviews or Haul-type Posts? 5- How long does it take you to write a post usually? 6- All time best mascara? 7-Who is your main blog inspiration? Well I created one when I was like eleven, but I deleted it because I was too young to understand! But when I found Zoella on youtube and then read her blog. It just encouraged me to start one again! Well I found a dupe of Mac Ruby Woo which is the Rimmel Red Fever. I actually won a competition and got three Rimmel lipsticks for free. These lipsticks are definitely my favourite! 10- Reading or watching blogs/vlogs? Watching vlogs, unless the blog is really easy to read. I hate messy confusing layouts, I just get distracted easily. 11- What was your favourite blog post to write? I havent wrote many yet! Im not sure! and Anyone else who reads this! I'm not so sure of many bloggers yet, so please comment of follow me as I follow back, I really want to start following more fashion/beauty blogs! 1-Best gift you have ever recieved? 2- Something you've always wanted to try? 3- What did you have for breakfast? 4- Last film you watched? 6- Most exciting thing you have ever done? 7- Five words that describe you? 8- Why did you start a blog?